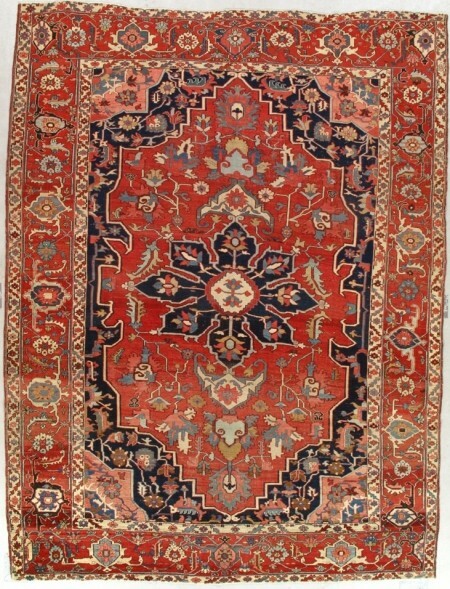 The Heriz area in northwest Persia has been famous for over a century for its vigourous, rustic versions of the classic medallion and corners pattern. 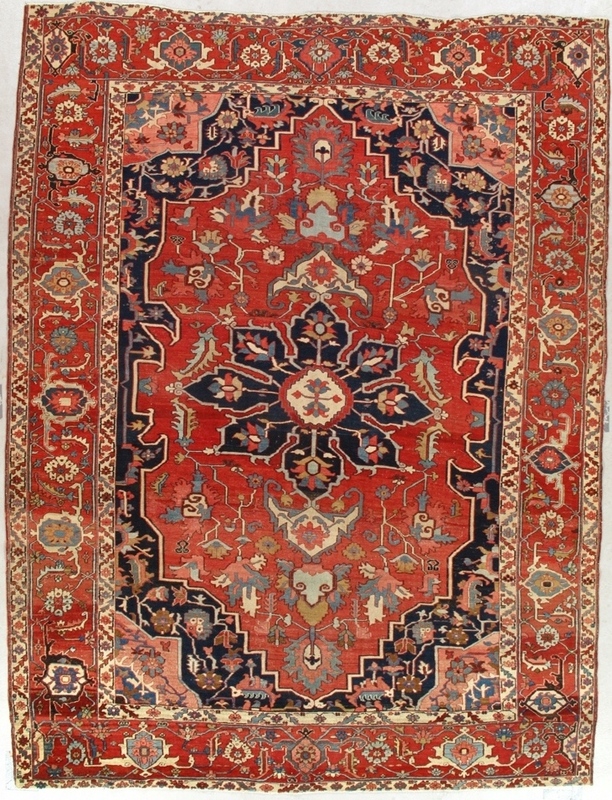 This imposing antique Heriz carpet from the 1910 period is a study in red and navy as the dominant tones, with ivory as an accent and subsidiary frame. 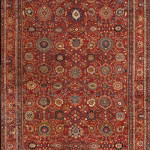 The eight point medallion has an unusual triple pendant at each vertical end and is tied into the warm red subfield by an angular arabesquerie. The tendrils of the encompassing dark blue field flow easily around the central panel. The wonky turtle main border alternates in and out palmettes on a red ground. Although the origins of the Heriz medallion and corners design lie in more urban sources, the Turkish-speaking Heriz district villagers have developed their own style: direct, cleanly-coloured and semi-geometric. 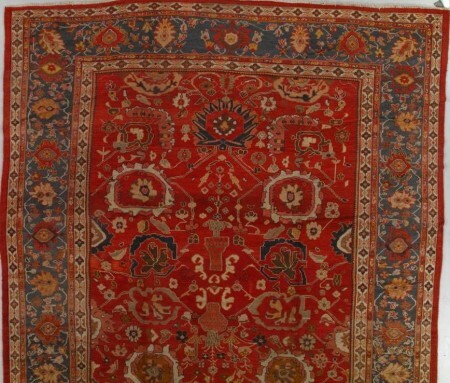 The enduring popularity of antique Heriz carpets such as this iconic example is virtually unparalleled among oriental rugs. 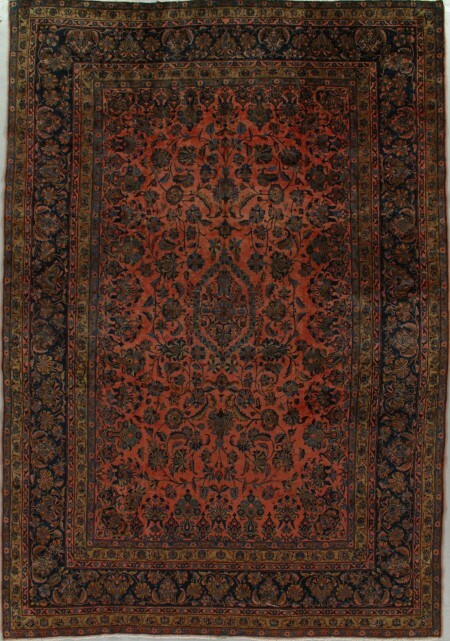 Styles come and go, but the colourful, dramatic Heriz carpet never becomes unfashionable. 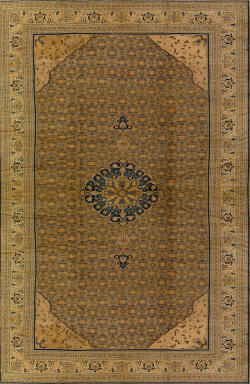 This carpet is an excellent example of why this is the case. 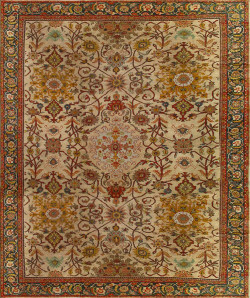 It works with any style, any period of furnishings, any colour scheme, and with any other rugs in any overall design arrangement.